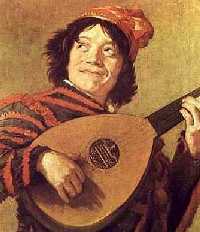 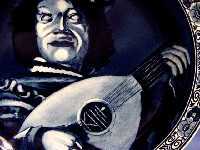 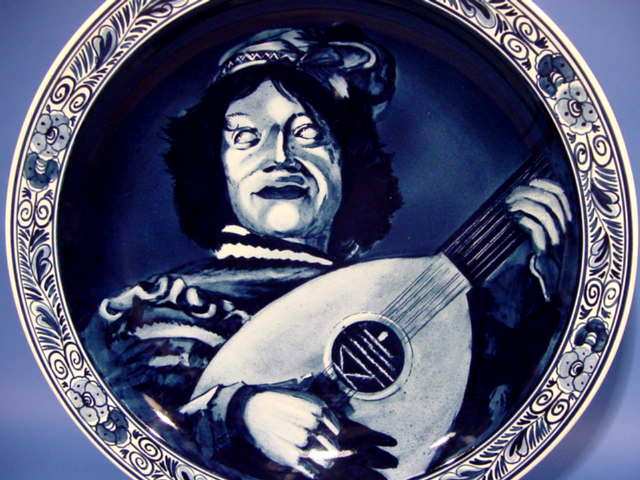 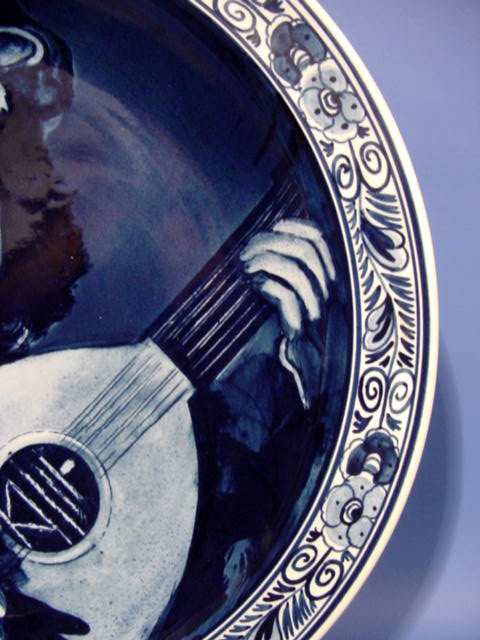 It is my pleasure to offer you handpainted Delft Plate after a painting "The Lute Player" of the famous FRANS HALS, produced by Goedewaagen Holland. 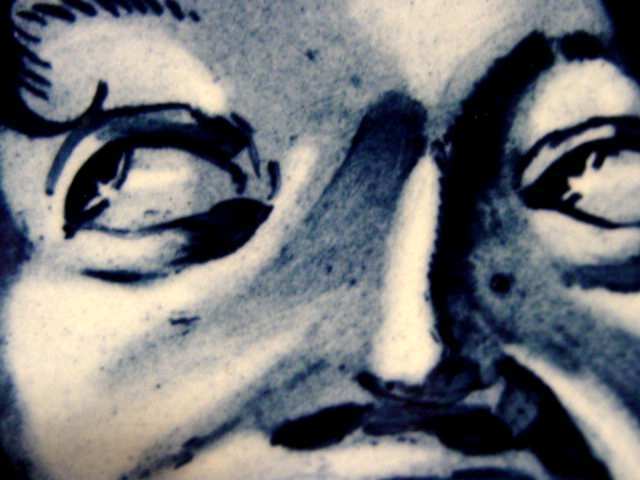 Originally Goedewaagen was a factory of pipes and coarse kitchen ware, founded in 1779 by Dirk Goedewaagen. In 1910 the Dutch Queen assigned the predicate "Royal" to this factory. In the twenties the Distel factory was taken over and many highly valued art items, designed by famous artists were produced. 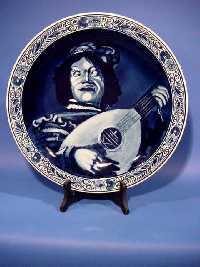 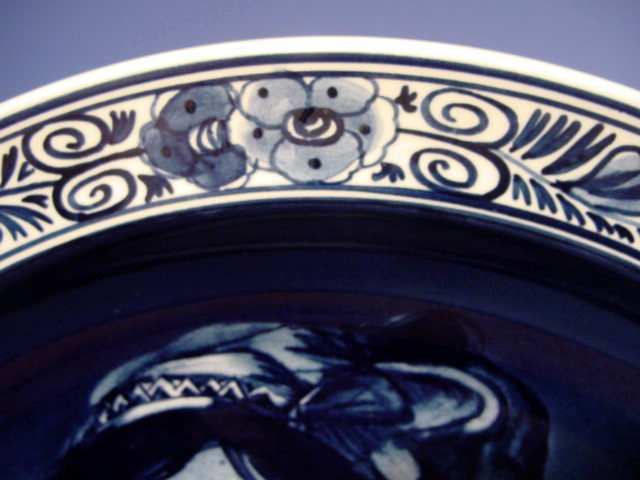 After WWII they got in troubles like all most other pottery manufacturers but they survived, also thanks to a product range of successful handpainted Delft ware. 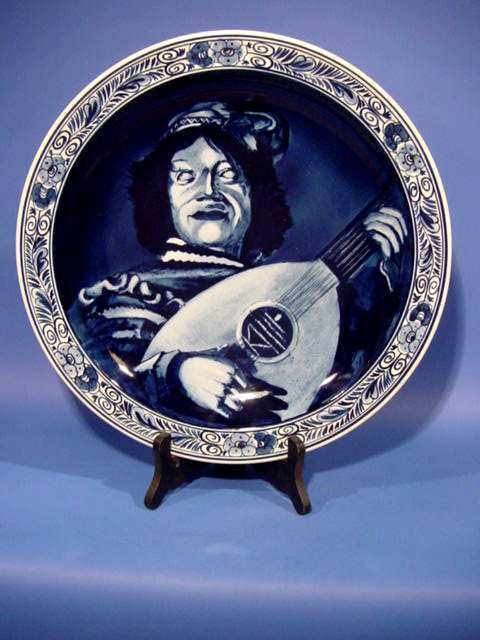 Since the early thirties Goedewaagen produces good quality Delft ware, much of which is nearly 100% handpainted. 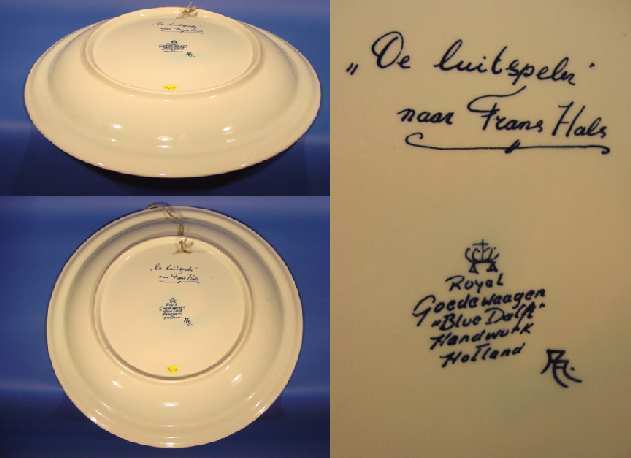 This plate with a nice floral border was handpainted after a painting by Frans Hals and is marked at the back with: "De Luitspeler, naar Frans Hals", the Royal Goedewaagen factory logo, "Blauw Delft" and "Holland Handwerk". DIMENSIONS: Diameter is 14 inches (=35½ cm). 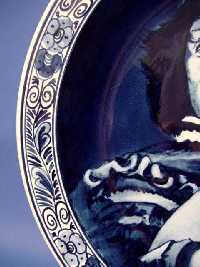 Click the button below to add the Handpainted 14" Delft Plate "LUITSPELER" by Hals to your wish list.